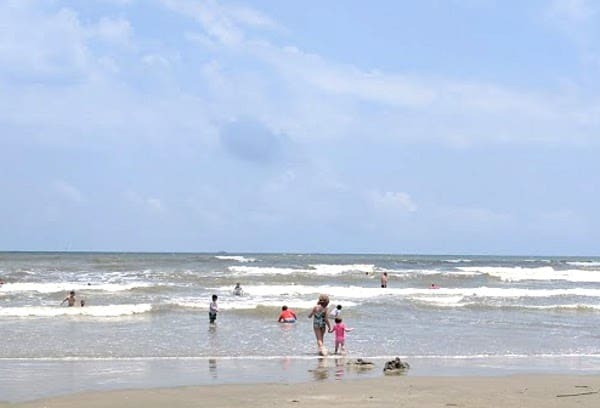 Home»All»A Quick Guide to Galveston Island Beaches with Chevrolet… and How We Take 4 Kids Without Going Crazy! 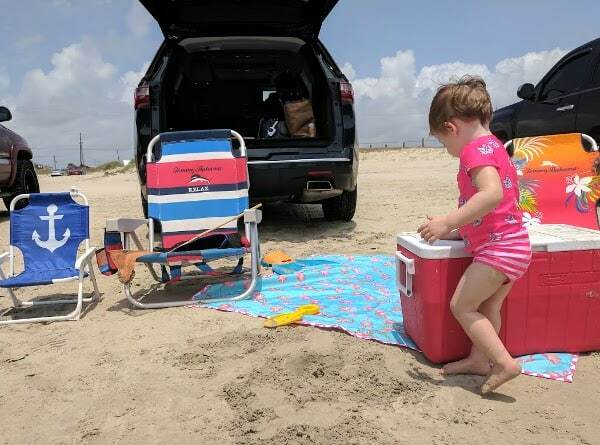 A Quick Guide to Galveston Island Beaches with Chevrolet… and How We Take 4 Kids Without Going Crazy! Years ago, a trip to Galveston, with little kids, seemed like too much trouble. The drive and the beach just seemed like a lot of WORK. Then a Houston mom told me about West Beach, parking on the sand, having all the gear you need (without hauling anything) and being home by early afternoon… and the beach trip suddenly seemed like a lot MORE FUN. And we have been going weekly for the last several summers! 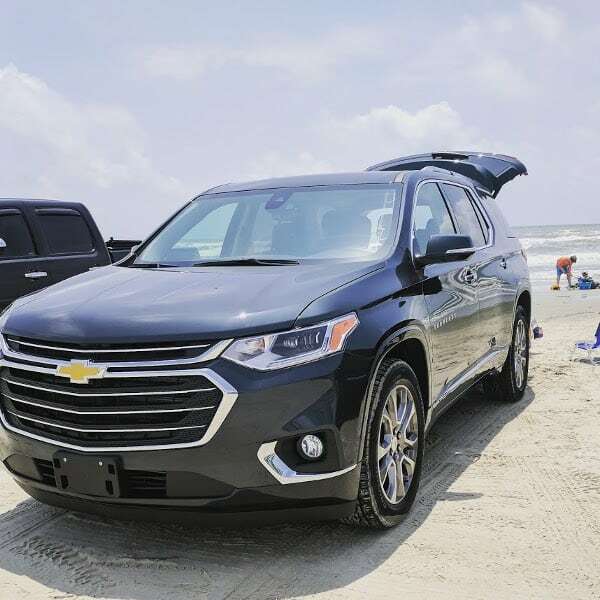 To help with your summer beach trips, here is a simplified guide to Galveston Beaches and lots of details on West Beach… all from our sponsor Chevrolet. East Beach: When Broadway ends, turn left and go to the end of the island. East Beach has bathrooms, showers and concessions and alcohol is allowed. There is a fee to park in the parking lot. Check out the pictures HERE. Stewart Beach: Back where Broadway ended, Stewart Beach is right in front of you. This is the family beach and there are bathrooms, showers and concessions and no alcohol is allowed. There is a fee to park in the lot. Check out the pictures HERE. Seawall Beach: Just west of Stewart is the Seawall. This is a long strip of beach with lots of hotels and restaurants. Street parking is metered but beach access is free. There are some restrooms along the Seawall. West Beach: West of the Seawall (on the same road) is West Beach. Here you can drive onto the beach and it is free. Cars on the beach are not beautiful, but it sure is easy. Just drive on to the packed sand, back up to the water and have everything you need without hauling bags and chairs and coolers and kids. 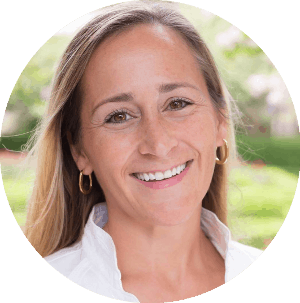 The one issue… there are no restrooms (and *maybe* you will find a port a potty). Check out the pictures HERE. Galveston Island State Park: Just west of West Beach is Galveston State Park. Here there are not many people… but there are showers, changing rooms, a nature center, miles of trails, camp sites, places for kayaking and more. There is a small fee to enter the park. Check out the pictures HERE. Before moving to Texas, I had never seen cars on the beach… and that first time a friend told me to drive onto West Beach, I thought she was insane. But I did, and it was so EASY. Cars on the beach is not beautiful, but you just drive on to the packed sand, back up to the water and have everything you need without hauling bags and chairs and coolers and kids. Also, note that at beach entrance 10, the cars drive behind the parked cars… away from the kids playing in the wet sand. (At Surfside, we saw cars driving on the wet sand, way too close to kids playing.) Watch the video above to see what I mean. 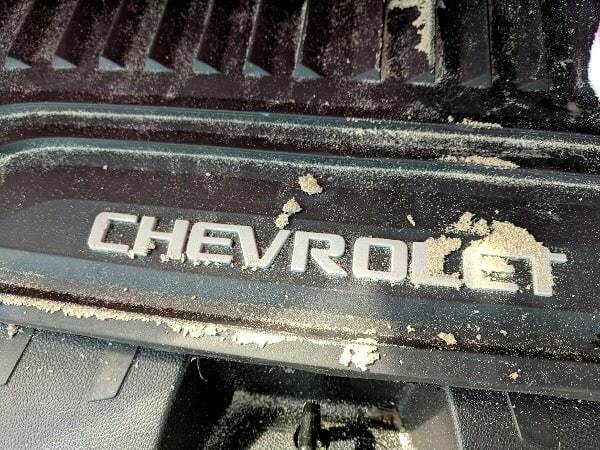 On our last trip, we drove the Chevy Traverse, but the sand is so packed that cars can drive on it as well. The one problem with West Beach is that there are no restrooms. 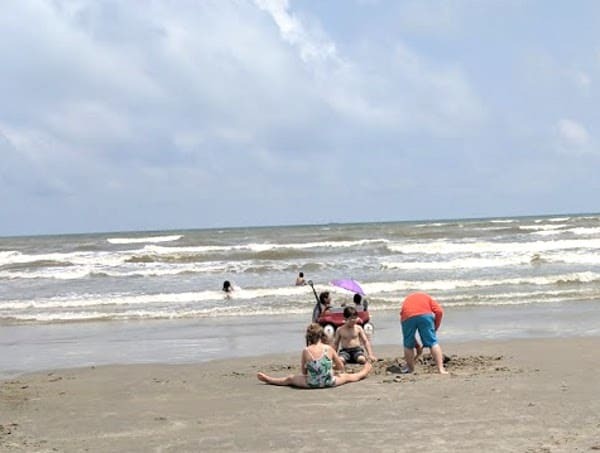 So, we spend a few hours at the beach and then head to one of the many other Galveston attractions (with restrooms!). Find lots of things to do in Galveston HERE. Chevy loaned us the Traverse for the roadtrip and it was surprisingly easy to drive. It is bigger than my minivan, but with all the sensors and cameras, it was actually easier to drive. This car had the standard rear camera, a forward-looking camera in the front grille and two side-looking cameras under each side mirror, all displaying a 360 degree, bird’s eye view of the entire perimeter. I liked that the Chevy knew when I had opened the back door before the trip, and reminded me to check on the baby at the end of each trip. And my big kids were especially pleased with the wifi hotspot, USB ports and power plugs. We all give the Chevy Traverse two thumbs up… and the short roadtrip to Galveston another two thumbs up (for a total of 24 thumbs up). And if you are looking for a very EASY trip to the beach, check out West Beach! Video: Favorite Things to Do in Houston, with Kids, May 17-23, 2018!